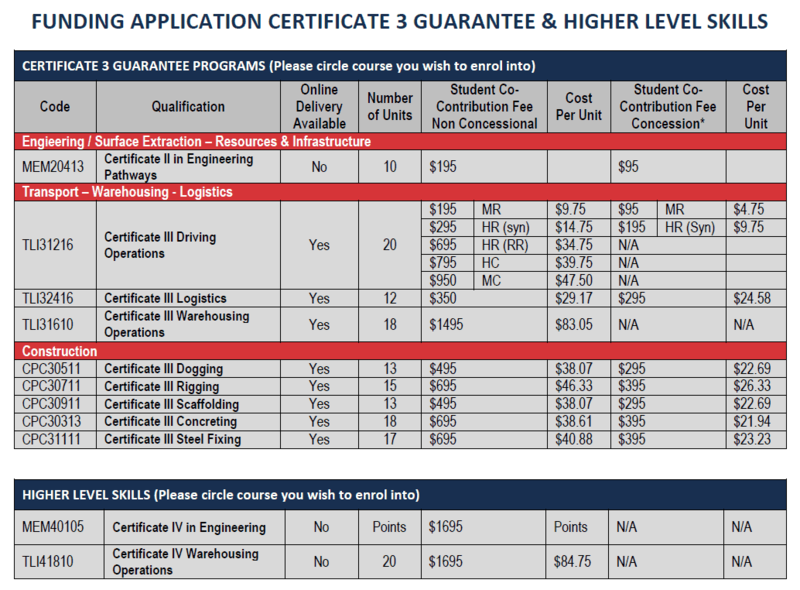 The Certificate 3 Guarantee is a key initiative under the Queensland Government’s five-year training reform action plan, Great skills, real opportunities. The Certificate 3 Guarantee provides a government subsidy to support eligible individuals to complete their first post-school certificate III level qualification. It also supports Queensland’s Year 12 graduates to transition to employment by providing fee-free training in high priority qualifications. Training is subsidised by Queensland government and is paid to the RTO providing the training. There is a necessary co-contribution fee from the student for enrolment & training. It is important that you consider and compare your training options and ensure they align with your chosen career pathway. Once the Certificate III course has been completed, you will have used your only Certificate 3 Guarantee subsidy entitlement. Call us on 1300 790 822 to discuss what course is right for you. Provide us with your Date of Birth and Full Name. Please note: Student fees may be paid on behalf of a student by a referring agency such as a Job Active or other employment service provider. Please click here read our complete Terms and Conditions and Refunds & Cancellations policy. NOT Eligible for this funding? We have study now pay later options available, along with Industry and Federal funding options.